Greetings, I’m Sheng, a Legend rank constructed and 7.5 win-average arena player. 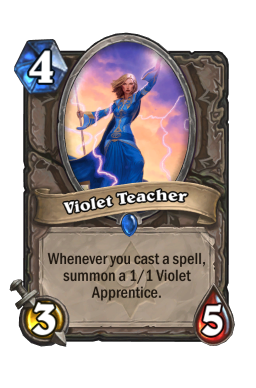 I run HearthstoneCoaching.com where our coaches have helped many students achieve the same. Today I'm here with the second part of our Beginner's Arena Guide series. In this guide, I'll be discussing the techniques and strategies you can use to consistently win 4 or more games in Arena. 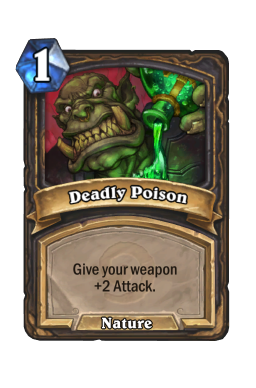 To research for this guide, I spent two weeks coaching fellow Redditors from /r/hearthstone on Arena to learn their common mistakes and weaknesses. These players ranged from complete beginners struggling to overcome 3 wins to good players averaging 5 wins hoping to double their earnings. For each of these students, I'd help them through the draft, and coach them through each of their games. This involved the proper way to mulligan, suggesting better plays when I saw them, and giving tips on what to look out for against different classes. In the complete beginners, I found that many had difficulty understanding card value, the importance of board control, and how card advantage wins games. With these players, I focused more heavily on the draft process, explaining why the average expected value of a card is much more important than its best case scenario. 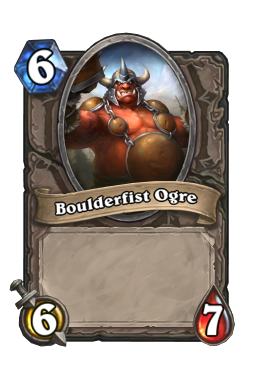 Beginners often seemed to focus too much on cool combos and large minions, while neglecting mana curve and card value relative to cost. For these students, I suggested they read through the first part of this guide on drafting, which covers the concept of card value in length. When it came to gameplay, I wanted players to set themselves reasonable expectations. Many expected that with an "infinite" player as a coach, they would be able to get 7+ wins on our first run. While ~7 wins was close to the average win rate for my sessions, I didn't want my beginner students to feel disappointed in their Arena runs when I wasn't there to help them. Instead I suggested that earning back 50 gold (3 wins) from a run should be the initial goal. Being able to do this consistently means that a player will earn back the full value of their entry fee. Before each Arena run, I try to do a quick run-through to analyze my deck's strengths and weaknesses. By remembering what cards I have in my deck, I give myself an edge later in the game when I need to know what answers I can draw into to respond to my opponent's board. Here's how I categorized things in my head after I completed a Rogue draft recently. I find it helpful to go through and input my deck into a deck builder, like the one they have on HearthHead.com. It automatically allows you to sort and filter cards, which is quite handy. 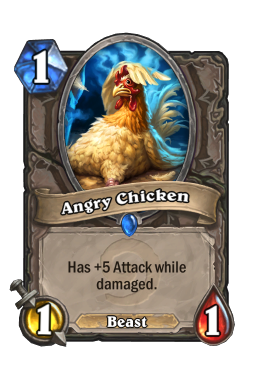 Conclusion: Very few 2 mana minions, but very strong 3-5 mana minions, and a complete lack of late game presence. Conclusion: Very strong early removal, but also a bunch of situational spells that could clog my hand if I can't find the right condition to use them. 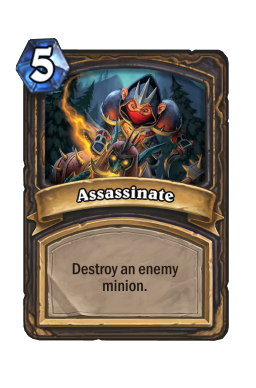 assassinate helps a lot to get rid of threats that my mid-game minions can't deal with in the late game. Situational spells like cold blood , conceal , and betrayal that can sometimes clog your hand. 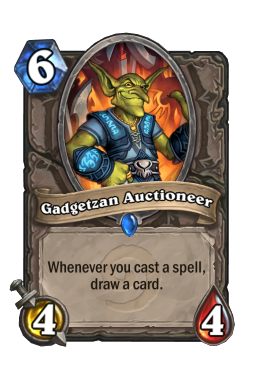 Lack of late game and card draw dependent almost completely on combo-ing gadgetzan auctioneer . 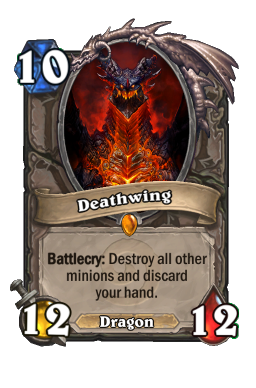 Decks with strong board clear like flamestrike or consecration that can clear my board after I get ahead. I recognized that my deck was a mid-range value deck that tapered off significantly after turn 6 or 7. In order to win my games, I needed to dominate the mid-game and secure an overwhelming lead in order to win late, as my opponents would start dropping minions that my 4 attack creatures would not be able to overcome. This example Rogue deck ended up going 9-3. By game 4, the deck was 2-2, with both losses to mages who overcame me late game with flamestrike (which was incredibly effective against my mid-game minions). I was lucky and ended up winning my next 7 games against Druids, Warriors, and Rogues until losing to an insane Paladin deck with multiple consecration s. Surprisingly the MVP of this deck was crazed alchemist , which was able to flip the stats on cards like oasis snapjaw for easy backstab s. As a situational card, I never played him onto an empty board on turn 2, instead saving him until I could use his battlecry in a beneficial way. 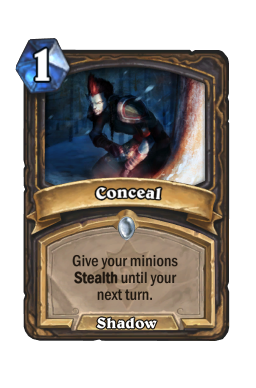 I even won one game with conceal on a 4/1 minion. 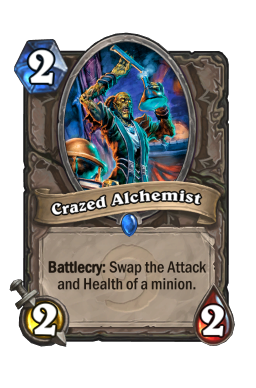 In the games that I won, I followed the same strategy I formulated earlier during my deck analysis, and generally dominated the early to mid-game with a combination of cheap removal spells, and strong mid-game minions. If I hadn't executed this strategy, there wouldn't have been a way to achieve 9 wins with this kind of draft. There are three key tips to controlling the board. ...Which forces your opponent into unfair trades. 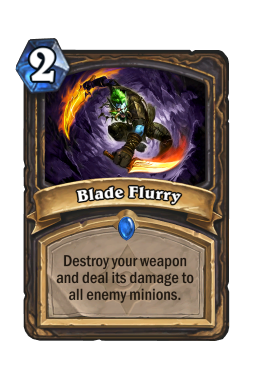 ...Which eventually clears your opponent's board. Having board control means that you can decide the trades before your opponent. 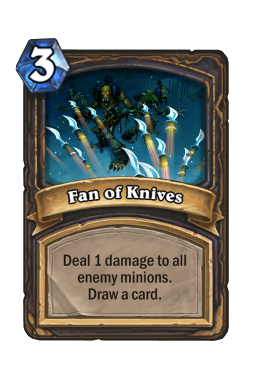 If you've controlled the board from the start of the game, then by mid and late game, the total number of minions you have on the board and cards you have in your hand should be greater than that of your opponent's. Over time, your opponent will run out of cards, and you will win. Much of my success in my Arena draft came from my ability to make the right plays at the right time. An amazing draft can only carry you so far. You'll eventually get paired with players with decks that are just as good, if not better by Arena's matchmaking system. 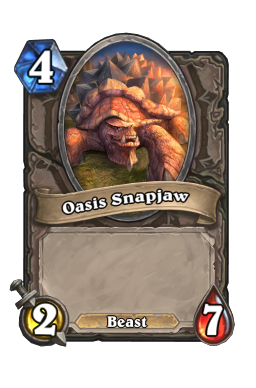 I believe that each game in Arena can be broken into separate cognitive stages. These are The Mulligan, The Early Game, The Mid Game, and The Late Game. Each stage is important, with each previous stage affecting the results of the proceeding stage. You can envision these stages as game levels, where beating a game level with a high score means you'll be rewarded with better tools to use in the next level. The Mulligan is the beginning of the game, where you're given the option to keep or throw away cards. 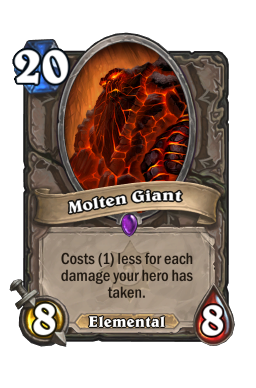 The goal of the mulligan is to find low cost minions and cheap removal spells. These cards are used to establish board control early. This is extremely important. The goal of the early game is to establish board control. This is what wins Arena games. The best way to establish board control early is to play a minion on every turn. 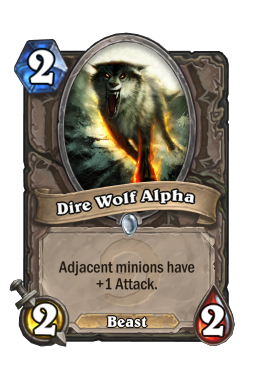 Imagine if you had argent squire , bloodfen raptor , and raging worgen in your starting hand. 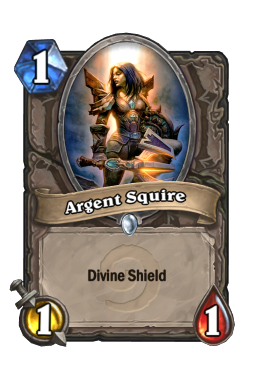 By playing argent squire on turn 1, you can potentially trade up to kill a two mana 3/2. 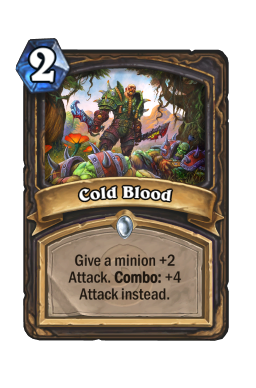 By playing bloodfen raptor on turn 2, you can potentially trade up to kill a three mana 3/3. 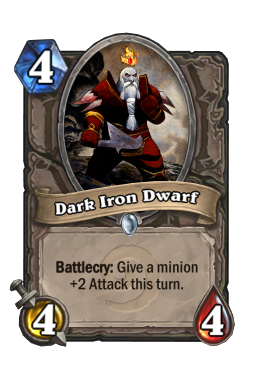 By seeking to "trade up" each turn, you gain more value from your minions than your opponent. 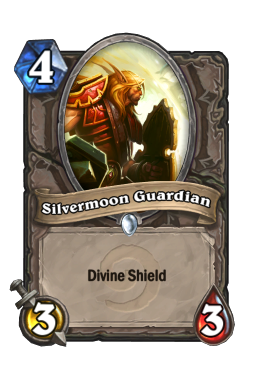 You can imagine, that the goal of each turn is to play a card that can protect your more valuable minion that you play next turn. The goal mid game is to maintain board control, and gain card advantage. Turn four is arguably the most important turn in the game. 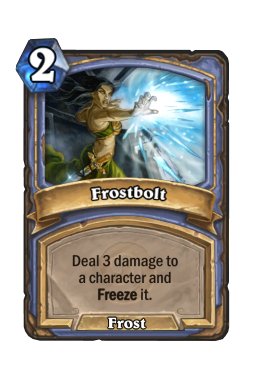 Basic cards like chillwind yeti and senjin shieldmasta can trade for two 2 mana or 3 mana minions on turn 4. 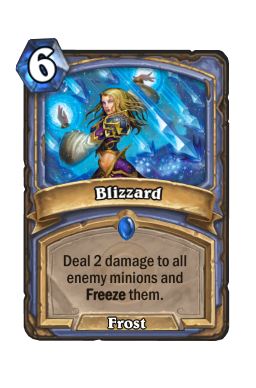 Board clear spells like consecration or swipe can take away any board advantage gained by you or your opponent in the early game. Mid game is where a player that's behind can come back and stabilize the board, or where a smart player that's ahead can secure the late game. This is also the hardest phase of the game. In early game, your choices are simpler. 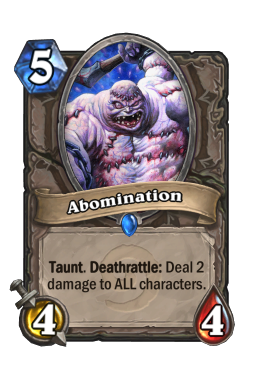 You either have a minion to play, or you don't, and you can either remove your opponent's minion from the board, or you can't. In late game, when both players have very few cards in hand, your choices are much simpler as well. In mid game, you have an exponential number of possible decisions to make, and it can be difficult to determine which one is best. Generally, whether you're ahead or behind entering the mid-game should determine what you do. If on turn 4 you have more minions and cards than your opponent does, you're ahead. If you're ahead, PLAY CONSERVATIVELY, unless you've drafted a deck that can't win otherwise! 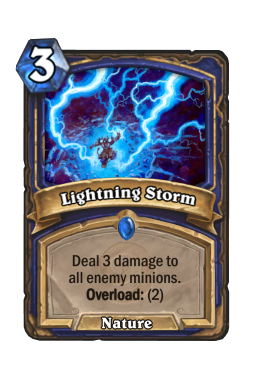 I've come back from many games where my opponent was impatient and overcommitted mid-game, just to eat a consecration or lightning storm that brought me back into the game. 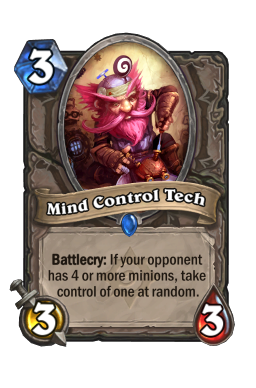 As a very general rule of thumb for beginners, you don't need more than 3 minions on the board at once, unless you're absolutely certain your opponent doesn't have a board clear spell or mind control tech . There are some subtle ways to tell, but much of it comes from experience in recognizing situations. If you're behind, your goal is to claw back board control in any way you can. Unfortunately, if your opponent is smart and continuously forces you into poor trades and doesn't overextend, then you've probably lost the game. In the case he doesn't, punish him deeply for his mistakes. The goal of the late game is to finish off your opponent. In the late game, you have to start paying attention to your opponent's life total, and calculate how many turns it will take for him to die from the damage you have on the board. Anticipate board clear spells. 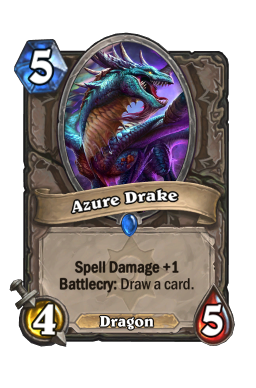 If your opponent didn't have them earlier, it's much more likely he's drawn into them now. If you're behind, this is the most difficult place to make a comeback. You probably have a worse board position and less cards in your hand than your opponent. You'll need to take some RISKS if you're behind, because inevitably, your opponent will be able to exhaust you of your cards. Sometimes this means avoiding trades and attacking your opponent's face, hoping you can kill him before he kills you. If you're ahead in late game, you just need to play conservatively. 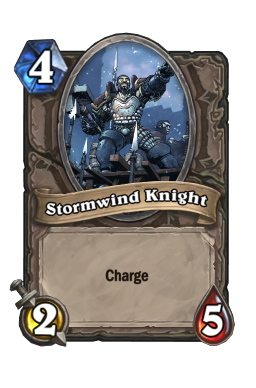 Anticipate board clears and maintain moderate board pressure on your opponent, while exhausting him of cards. You win! Now that you understand each stage in the game, how do you win each of these stages? You can win each stage by making the best play you can on each turn. While coaching my students, I formulated a simple checklist for them to go through. These steps don't require deep insight into what cards your opponent may be holding (though this was something I focused heavily on with my more advanced students). 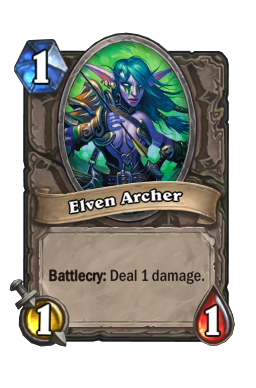 1) Check for lethal damage to your opponent. Always check to see if you can kill your opponent outright. 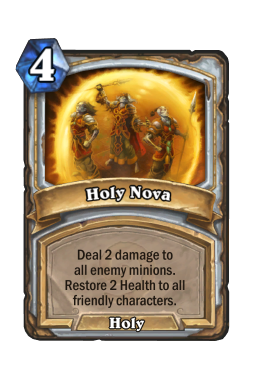 Count the damage from your minions, your hand, and your hero power. 2) If you're ahead, see if you can clear your opponent's board. Striking first is an advantage. 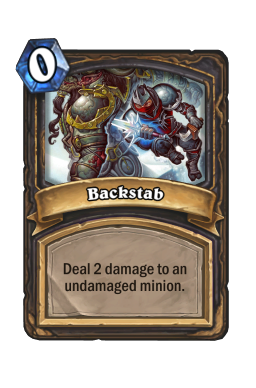 By attacking first, you can trade your smaller minion to kill your opponent's bigger minion. 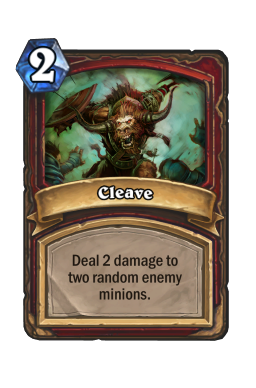 By continuously clearing your opponent's board, you'll gain more value out of your minions than your opponent. 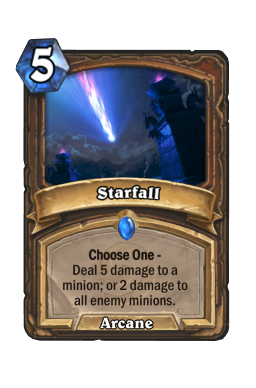 3) Between two equal choices, consider the choice that uses more mana. 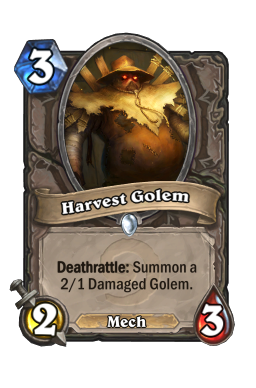 If two cards accomplish the same goal, you may want to play the one that costs more mana, because the cheaper card can fit better into a later turn. Always try to see if you can spend all your mana crystals efficiently. 4) Think of what your opponent can do next turn to disrupt your board. 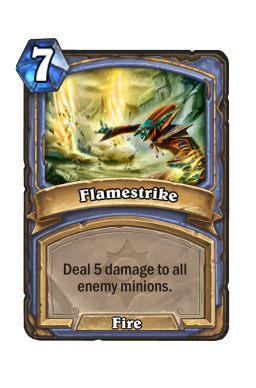 Is it turn 6 against a mage? 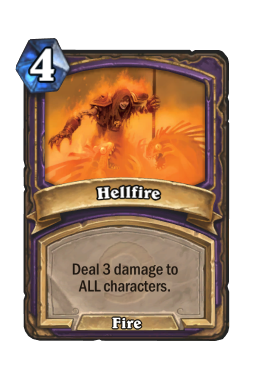 You probably don't want to drop those 4 health minions on the board right now in case he plays flamestrike the very next turn. 5) Plan out your entire turn in your head before you play anything. Then double check it. There's no penalty for taking longer each turn. Playing through an entire turn in your head means you avoid potential mistakes from miscalculation. Saying what you're going to do out loud before you do it also helps. 6) If any of your decisions involve card draw, do that first. After drawing a card, go re-evaluate your turn and do steps 1-5. 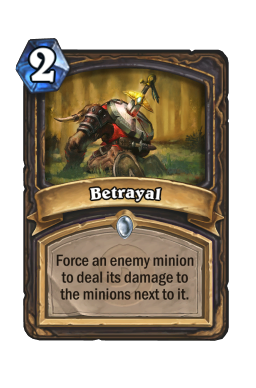 Note: If you want to play around betrayal and explosive shot , I would recommend players to put their smaller minion in between their larger ones (against Rogue and Hunter), so it mitigates the potential damage these spells can do. 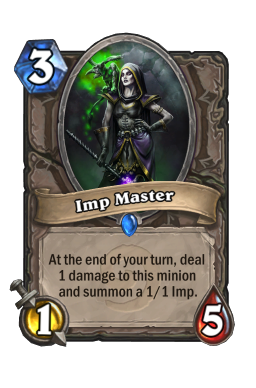 In conclusion, I believe that any player that can follow the advice on this guide consistently can become not just a 4 win arena player, but an "infinite" arena player. It just takes practice. If you ever get stuck, come back and read through this guide again and see if you'll be able to gain more understanding of the concepts laid out here. As you play more games, these concepts will begin to make sense, and you'll become a better Arena player. I hope this guide was helpful for some of you guys out there struggling with Arena. Feel free to leave questions in the comments section, and I'll be happy to answer them! If you're interested in reaching Legend rank, or earning unlimited gold from arena, my team at HearthstoneCoaching.com would love to help! We've provided over a thousand hours of excellent coaching to students around the world. Want to Become Better at Other Games? I also run RankOneCoaching.com, where our top coaches will develop a personal plan for you to achieve your dreams in other games. Personal lessons are an in-depth experience and most students improve significantly after just one full session!